Trust the experienced heating, ventilation, and air conditioning (HVAC) experts at Energy Experts with all of your Huntington Beach home heating, cooling, or indoor air quality needs. Energy Experts is a new designation of Alicia Air. Established in 1980, Alicia Air has served as Orange County's leading provider of exceptional quality, comprehensive Carrier sales, installation, maintenance, and repair services for decades. At Energy Experts, we are committed to providing excellent customer service, and our knowledgeable technicians have always worked closely with our valued residential clients to provide the most cost effective solutions possible to resolve their home heating, ventilation, and cooling needs. And now, as a Carrier Certified Energy Expert, we can provide even more specialized solutions for maximum home HVAC system efficiency, solutions which take into account factors such as a home's existing thermal envelope (comprised of a home's roof, exterior walls, windows, and doors), the energy efficiency of the home's existing HVAC system and its ductwork, and also any indoor air quality issues within the home. Call the home HVAC specialists at Energy Experts (Alicia Air Conditioning) today for any and all concerns you may have about the efficiency of your Huntington Beach home's heating and cooling systems, or with any indoor air quality issues your household may be experiencing. We service all of Orange County, and are licensed, bonded, and insured. Indoor Air Quality (IAQ) issues are of great concern to many Huntington Beach households, due to the fact that they have family members who suffer from health issues such as allergies and asthma. Medical authorities have established that poor indoor air quality in the home can contribute greatly to these troublesome medical conditions, and that improving indoor air quality can sometimes alleviate these conditions completely. At the Energy Experts (Alicia Air Conditioning & Heating), our whole home audits can go far towards pinpointing the sources of poor indoor air quality within a home. A leaky home envelope (comprised of a home's exterior walls, roof, floors, windows, and doors), leaky ductwork, and incorrectly sized home HVAC systems can all be contributing factors. However, the good news is that each one of these factors can be resolved through the affordable home insulation; ductwork repair, insulation, and replacement; and home HVAC system maintenance, repair, sales, and installation services that the Energy Experts at Alicia Air provide. Don't let your home environment continue to adversely affect the health of your family. 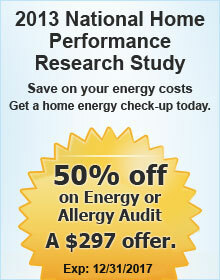 Call the Energy Experts today. Trust the Energy Experts at Alicia Air Conditioning & Heating for affordable, state of the art ductwork testing, sealing, insulation, and replacement services in Huntington Beach. At the Energy Experts (Alicia Air Conditioning), our thorough, ductwork testing and evaluation procedure will identify any concerns with your home ductwork system's condition or design that are interfering with optimal distribution efficiency. Then, we will recommend the most cost effective ductwork insulation, ductwork sealing, or ductwork replacement services to remediate these issues. Call the Energy Experts today. The Energy Experts at Alicia Air are Carrier Certified Energy Experts, and are licensed, bonded, and insured. Thermal Envelope - consisting of your Huntington Beach home's roof, exterior walls, floors, windows, and doors. Air leakage through gaps in this envelope can greatly complicate home heating efforts in the winter, home cooling efforts in the summer, as well as contribute to indoor air quality (IAQ) problems. Ductwork System - From which the leakage of conditioned air can cause a significant reduction in the overall efficiency of your Huntington Beach home's HVAC system, as well as provide a means for drawing in poor quality air from the spaces in the home such as attics, garages, and crawl spaces in which the ductwork is located, distributing this bad air throughout your home's living area. And then recommend cost-effective ways to remedy leakage issues within these systems. Call us today from Huntington Beach. As a Certified Carrier Energy Expert, we can now perform a Carrier 360° Whole Home Energy Audit for Huntington Beach homeowners, a comprehensive inspection of their homes which takes many crucial factors into account in order to provide them with personalized solutions to their household's heating and cooling needs as well as resolve any problems with indoor air quality that their home's occupants may be experiencing. Call the Carrier Certified Energy Experts at Alicia Air Conditioning & Heating today, and discover the difference our house-as-a-system approach to home heating, cooling, and ventilation makes in Huntington Beach homes. Choosing the right contractor to install your high efficiency home HVAC system is crucial. A good contractor will first perform a careful and thorough evaluation of your home, and will only then recommend an HVAC system for your home's heating and cooling needs. 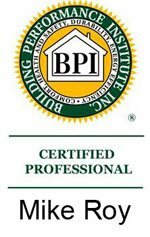 And If this procedure is not observed, it is possible for Huntington Beach homeowners to never realize the potential energy savings and reduced utility bills that the decision to install a high efficiency heating or cooling system should entail. Poorly insulated homes in Huntington Beach experience significant outdoor air infiltration, and this incoming air complicates winter heating attempts, summer cooling attempts, and can also contribute to poor indoor air quality. Cooled air passing through insulated ductwork in unconditioned spaces such as attics, crawl spaces, and garages is heated during the summer months, and conversely, heated air passing through insulated ductwork in these spaces is cooled during the winter months. In this situation, the insulated ductwork is responsible for greatly diminished home heating and cooling capacity. The same principle applies for air infiltration and exfiltration in uninsulated or poorly insulated attic spaces, through which heated air escapes from a home's living space during the winter, and warm outdoor air seeps into the home's living space during the summer. In addition, there is also often significant air leakage taking place around envelope penetrations such as can lights and register seals. At the Energy Experts (Alicia Air Conditioning), we can resolve these air leakage issues which complicate home heating and cooling efforts through our affordable home insulation services. In this way, providing increased year round home comfort and energy savings for Huntington Beach homeowners. Trust the experienced professionals at Energy Experts (Alicia Air Conditioning) to resolve any home HVAC system inefficiency issues you may be experiencing, as well as to remediate any poor indoor air quality concerns within your Huntington Beach home. Call us today. Energy Experts is a designation of Alicia Air, and is licensed, bonded, and insured.